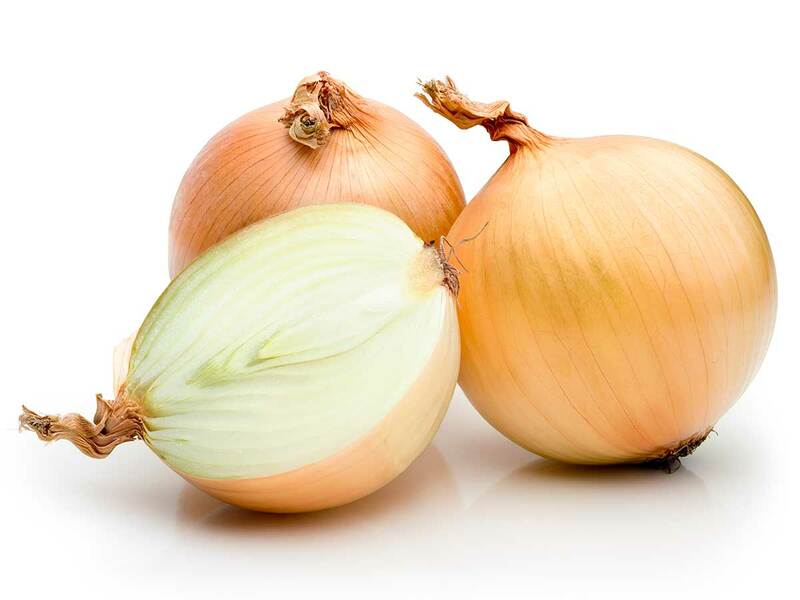 Oomen Onions started specialising in organic onions in 2015. We work exclusively with a group of innovative farmers in Flevoland, where the young, clean soil is ideal for cultivating organic onions. In combination with innovative and sustainable storage methods, in which the onions are kept with an optimum level of oxygen and at the ideal temperature, this means that the product quality is guaranteed and it is even possible to deliver all year round! Specially selected varieties are used for the cultivation of organic onions so that they can be grown without the use of any artificial fertilisers or chemical pesticides. A vital soil is essential for successful organic farming, which is why more extensive crop rotation is used. Animal and green manure is used to improve the structure of the soil and the availability of nitrogen. The vitality of the soil composition ensures that its capacity to retain water is excellent and it prevents important nutrients being washed away. This means that irrigation, for example, can be used more efficiently. In general, there is enough rain in the Netherlands, but water from local springs is used in years when the weather is extreme. A lot of attention is also paid to sustainability in respect of storage. Many of the farmers make use of a heat pump installation with a natural refrigerant that provides a very high level of efficiency. The heat generated is used for drying the product, which is much more energy efficient than heating with gas. The energy that is needed for the process is largely generated by the farmers’ own solar panels.